He provides a very personal experience! "I had a website that existed, but did not produce new clients. George re-designed both my website and my total web presence. My web presence now produces new client phone calls to my office on a consistant basis. There is always apprehension when dealing with a new website / web presence developer as so many of them over promise and under deliver. Not George. He is the real thing. He delivers. He provides a very personal experience with his clients. After working with George I can say that he is trustworthy and takes care of his clients. George does not cost me money, he makes me money. That's what a website is supposed to do. I recommend that you contact George and let him show you what he can do for you. You will not be disappointed." "I wanted to take the time to write a review for George at Webfox. He “overhauled” our website and assisted our firm with marketing our services on the internet. Our initial focus was to build a new website, however, we also engaged his agency to help us generate new client leads. It only took a few months to begin seeing positive results. George has worked with us for over two years, and for good reason, his strategies work! " It only took a few months to begin seeing positive results! "It has been a pleasure working with George over the past few months. He built our firm an impressive website, implemented a blog, and created our social accounts. I have already seen an excellent return and am excited to see our internet leads growing well into the future. George and his team are highly motivated who actually care about the success of their clients. I finally feel like I found an SEO who I can really trust. 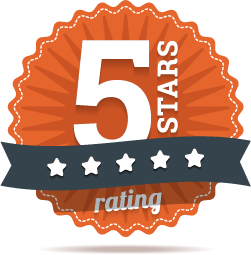 I cannot say enough great things about George and I highly recommend his services." I highly recommend George to any startup or existing business! "I was impressed with the technical knowledge and quality of work provided by George at Webfox Marketing. Our website looks great and is everything we expected. George was easy to work with. He understood our concerns and did not try and push something we did not need. He also gave practical advice, which was easy to implement..such as integrating our website blog with our social media accounts, and helping claim our business listings. I would highly recommend Webfox to any business looking for a new website. " "George created a brand new website for the Lakes Area Chamber of Commerce! He was fantastic to work with - very accommodating and professional. We couldn't be happier with how everything turned out. We highly recommend Webfox if you are looking for a new website or need help with your social media marketing!" We couldn’t be happier with how everything turned out! "I recently met with George and he was awesome! He has the patience of a saint with a novice like me. He taught me so many tips and tricks, too many to mention. I highly recommend him and his team for all your web design and computer needs, whether they are large or small, in a group setting or one on one. He is very knowledgeable and an expert in his field." "I have had the opportunity to work with George at Web Fox on a couple of projects over the last few months. George helps take the confusion out of SEO, Website maintenance, and social media concepts. Thanks for everything. I would highly recommend Web Fox." "Working with George at Web Fox Marketing was pleasure. George went above and beyond his job in creating my new web site. George was so focus on making sure all my questions and issues were addressed. I would strongly recommend his services to anyone who needs help in designing a web site or social media marketing. I'm looking forward with working with George at Web Fox Marketing on other future projects!" "George has been very helpful and professional. He has a deep understanding of SEO/Web. I highly recommend Webfox Marketing!"